Wallachian folk dress. Woman from Orsova, Hungary 1875. Home » Wallachian folk dress. 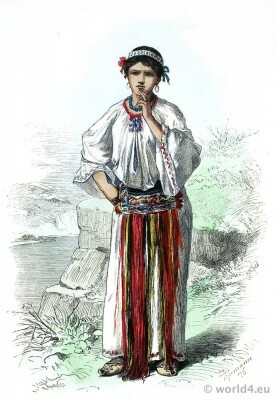 Woman from Orsova, Hungary 1875. Wallachian woman from Orsova, Hungary 1875. This entry was posted in 1876, 19th Century, Hungary, Traditional and tagged Lipperheide, Traditional Wallachian Costume on 10/22/14 by world4.